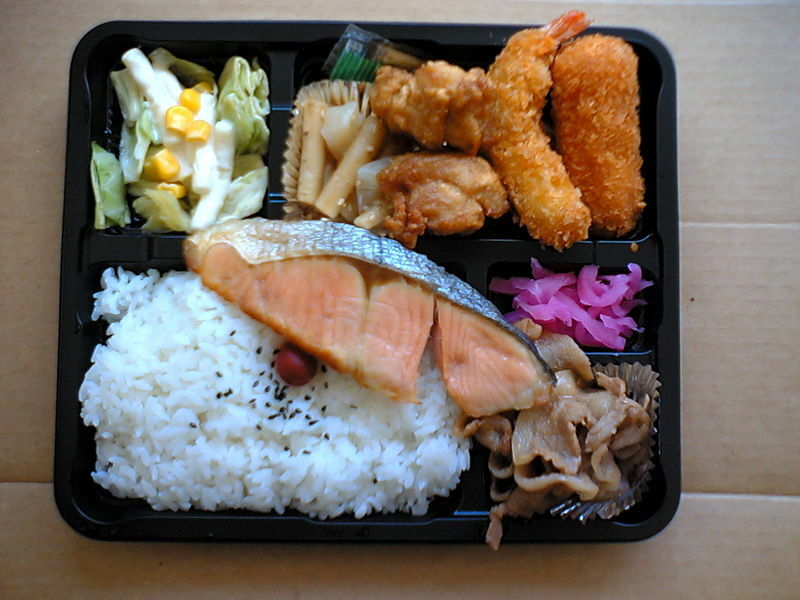 Bento is a single-portion takeout or home-packed meal common in Japanese cuisine. A traditional bento consists of rice, fish or meat, and one or more pickled or cooked vegetables, usually in a box-shaped container. Containers range from disposable mass produced to hand crafted lacquerware. Although bento are readily available in many places throughout Japan, including convenience stores, bento shops, train stations, and department stores, it is still common for Japanese homemakers to spend time and energy for their spouse, child, or themselves producing a carefully prepared lunch box. There are similar forms of boxed lunches in the Philippines (Baon), Korea (Dosirak), Taiwan (Biandang), and India (Tiffin).